$GOLD - 26% above its 200 day MA, which has marketed tops in the past. 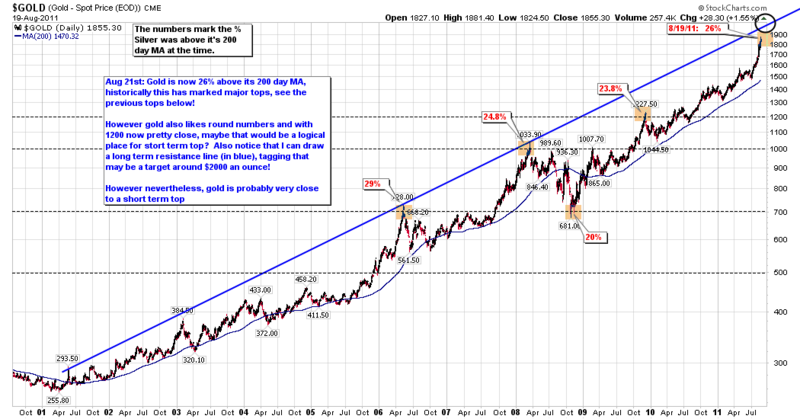 However the nice round number of 2000 is mighty close, and there is an upper trendline, so maybe gold tags that area. Also gold is moving inverse to the market right now as a 'fear' trade, therefore I think once the general market puts in some kind of tradeable bottom, gold will also put in some kind of top.